When you hear the word gumbo, you immediately think of a wonderfully fresh, seafood infused assortment of goodies. 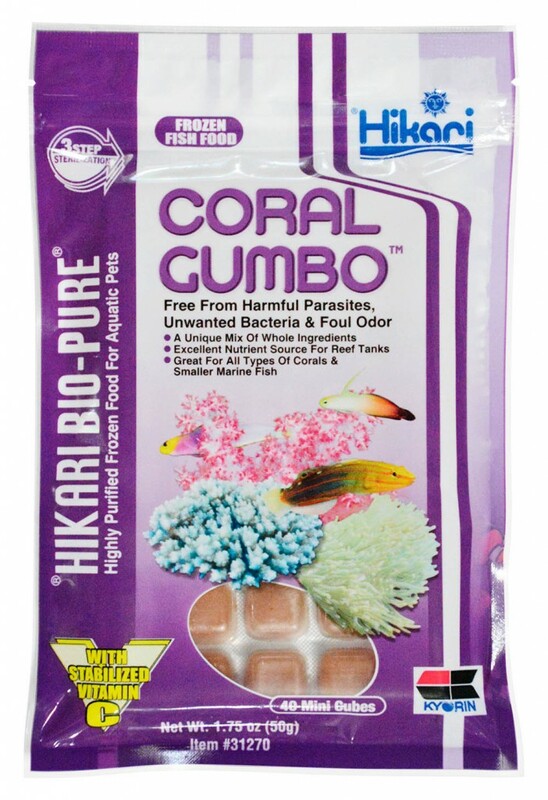 This is exactly what we were after with the newest addition to our Bio-Pure® frozen food line, Coral Gumbo™. If you’re looking for a fabulous assortment of goodies that your corals will respond to immediately and enjoy even more or something the little fish and creatures in your reef environment will rapidly gobble up, look no further! Check out this outstanding mix of Pacifica krill, rotifer, Mysis shrimp, sea scallop, oyster, bass, nori algae, octopus, Cyclops, squid, brine shrimp with a pinch of astaxanthin to improve coloration. For more information on our newest item or any other Hikari® product visit us at www.hikariusa.com, contact us at (800) 621-5619 or email us at fish@hikariusa.com.